PlayTech began in 1999 in Tartu, Estonia when entrepreneurs from the casino, software engineering and multimedia industries joined together to create the company. Since then, PlayTech have risen to become one of the largest online gaming software suppliers in the world and were listed on the London Stock Exchange in 2006. The company supplies software for online casinos, poker, bingo, sports betting, mobile gaming and live dealer casinos and has many big name licensees in the gambling industry. There are many varieties of Roulette available at PlayTech to play roulette for real money online. The standard version features European, American, Club and Pro versions of roulette. 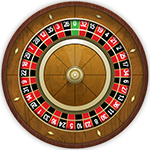 These all see a wheel in the top left-hand corner of the screen with the betting area encompassing much of the rest of the screen. At the end of the spin, you’ll see a close up of the final destination of the ball. This version isn’t full of features, but for a standard game of Roulette, it fits the bill perfectly. PlayTech also has a Premium Roulette series including American, European, French, and Pro versions. The layout of the screen is the same as the standard version although graphically this game is much smoother and the betting area is crisper. You have options here to change the felt color on the betting grid and the camera angle (with the wheel sitting above the betting grid). You also have a stats button which brings up a graphical representation of the wheel displaying the hot and cold numbers. One nifty option is to reverse the spinning direction of the wheel – great for the superstitious among you who might feel that this may bring a change of luck. 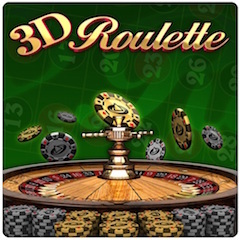 You can play a 3D version of Roulette at PlayTech. Here you’ll see a large wheel placed above the betting grid. Graphically this is good, perhaps not as smooth as the premium version. Options include auto and turbo play. With the larger wheel, this game is ideal if you want a close-up version of the game. 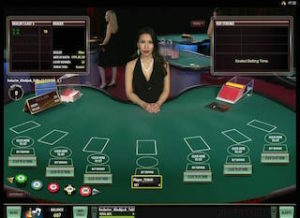 For those players who want more action, there is multi-wheel Roulette, with the opportunity of playing up to six tables at once. Here you’ll place one bet which will play at all of the tables at once (costing you six times your stake) – exciting if you can keep up with all of the action. As well as the traditional versions of the game, PlayTech offers some great variations. 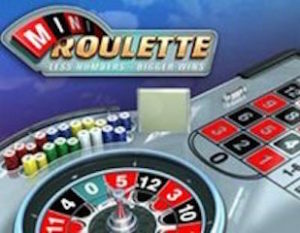 Mini Roulette is a game featuring just twelve numbers and a zero, a fun addictive game. Pinball Roulette is a hybrid of the two games, offering an exciting bonus round. The final game on offer is Marvel roulette, with an extra bonus well, allowing the player the chance to take down either a power, extra power, superpower or absolute power progressive bonus. The absolute power bonus currently sits at over £400,000!!! As well as Roulette, PlayTech has hundreds of other casino games available to enjoy at online casinos. Other table games include Blackjack, Baccarat, Video Poker and Red Dog. The most impressive part of the PlayTech suite is the slots – these offer a wide variety of current themes, different lines, many progressive jackpots, and multi-slots. Popular slots include Fantastic Four, Gladiator, Rocky and X-Men. As well as Slots, PlayTech also has a great selection of arcade and scratch games. For the ultimate casino experience, you’ll be able to play at the PlayTech live dealer casino, where you’ll be able to play live Roulette, Baccarat, Casino Holdem, and Blackjack. Here you’ll play face to face with the dealer through a live stream and be betting on the outcome of the real spin/cards. You can tell the quality of casino software both by looking at the number of licensees using the software, and the size of the companies. PlayTech currently supplies over 140 online casinos and included in this extensive list are some of the biggest and best in the industry. One such company is Betfair, who use PlayTech software in their arcade section. Betfair has a habit of being very good at whatever they set out to achieve and in teaming up with PlayTech they have hit the jackpot again. 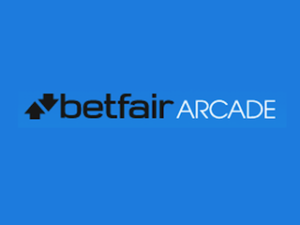 The Betfair arcade is slightly different from their casino, with an emphasis as much on enjoying the games as winning money, with much lower stakes available at the arcade.